Our bodies, especially our mouths, were not made to cope with the dangers of smoking tobacco. Your oral health and smoking is one of many concerns doctors and dentists have had with the habit. Staying away from the habit or quitting the habit can keep you away from many oral health problems that could potentially arise from smoking. Those who smoke will often shy away from the dangers of their addictive habit because it’s something they would rather not expose themselves to. However, it’s important to be aware of the risks as a motivation tool to kick you in the right direction. Keep in mind, the damage done from smoking can be reversed with time, BUT don’t use this as an excuse to pick up the habit believing that you will magically quit one day. It’s important to understand that nicotine in tobacco plants is one of the most addicting substances known to humans. The question remains, “what are some of the reasons why I should stop smoking?” The interesting thing about this question is that simply from the oral standpoint alone are enough reasons as to why you should kick the habit: decayed teeth, receding gums, consistently bad breath, orthodontic appliance interference, oral cancer, decreased saliva production resulting in dry mouth, yellow or discolored teeth, and inability to heal quickly following an oral procedure. It’s very similar to a vicious cycle: you smoke, your tooth becomes decayed, you require a procedure such as dental filling or perhaps even worse, and then you run into complications because your mouth’s ability to heal is diminished, resulting in unwanted scenarios and painful experiences. Decreased saliva is a huge reason as to why you would even need an extensive oral procedure in the first place. Saliva is responsible for fighting off the bacteria in your mouth. These are the same bacteria that cause decay to our teeth when things get out of control, and it’s easy for things to get out on control when you smoke. Keep in mind; this is just the oral side of things. On a larger scale, there are many other health problems related to smoking. If you have already picked up the habit, it is never too late to stop. That mentality will just spiral you down further. 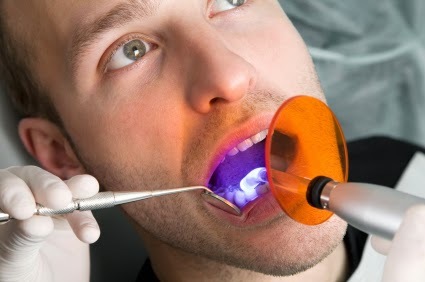 You can contact your local Newport Beach dentist can provide you with even more detailed information.